Asphalt paver applying asphalt on the highway. 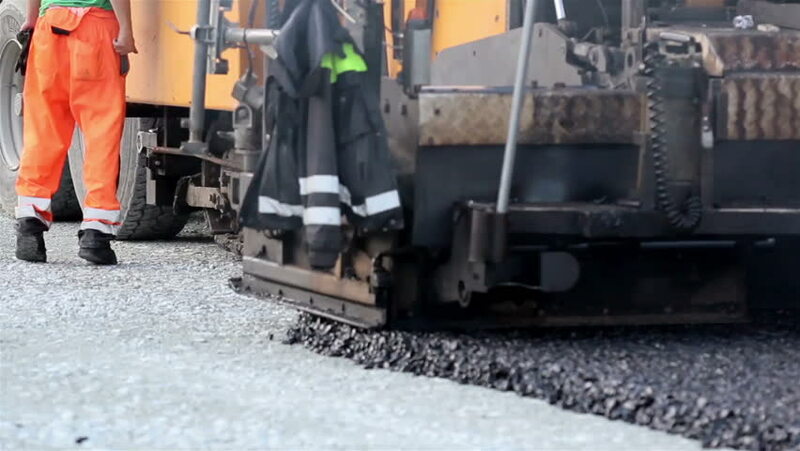 An equipment used to apply asphalt on the street automatically. A huge heavy equipment putting asphalts on the road. 4k00:43Pathum-Thani Province, THAILAND. SEP 8.2016 ; Team of workers in a warehouse or factory are going about their business use forklift truck loading a truckand preparing goods for dispatch. hd00:08Bangkok, Thailand - March 26, 2016 : Steam train at Foundation Day of train operation 119 years anniversary of the State Railway of Thailand.